Corporate partnership provides a great means of broadening your competitive edge by improving your company's image, prestige and credibility by supporting events that your target market finds attractive. A growing number of marketers think that corporate partnership is better than other methods of marketing as it provides opportunities to gauge customer response to products immediately. Exculsive behind the scene workshops, continued professional development and other events allow business owners or executives to relate directly with their customers, while they give customers the opportunity to try out the products of a company firsthand. Irrespective of the size of the company, experts in the field tout a broad spectrum of benefits that can be gained by aligining their brand. Beyond the obvious advantage gained by enhancing visibility and image, benefits include differentiating the company from competitors, helping to develop closer and better relationships with customers (both existing and potential ones), showcasing services and products, and even getting rid of outdated inventory. These experts go on to say that when partnerships are strategic and well-conceived, they can boost both short-term and long-term sales. 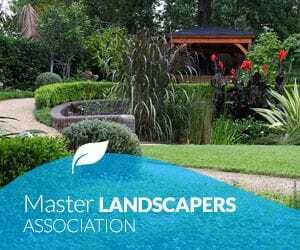 It is some thirty years since the LNA Masters Landscapers Association was established. The agenda and vision was to form an Association which would collectively bring together all parties within the landscaping industry to enhance its future. We are concentrating our efforts in the following areas: continued professional development, together with a combination of both print and digital online media to increase our presence and to raise the profile of the LNA and its profession. To enable us to achieve our goals, we need to secure the support, funding and momentum from existing and new corporate partners, which will enable us to achieve and enhance the future of the landscape industry. We take this opportunity to invite you to consider an investment and opportunity to work together for our mutual benefits. The LNA offer a range of corporate partnership levels which provide exposure to our partner's brands and provide a broad range of activities and participation options. Take your pick from hosting an event at your own facility to a targeted captive audience with options to be broadcast online, or attend informal networking events, the choice is yours. 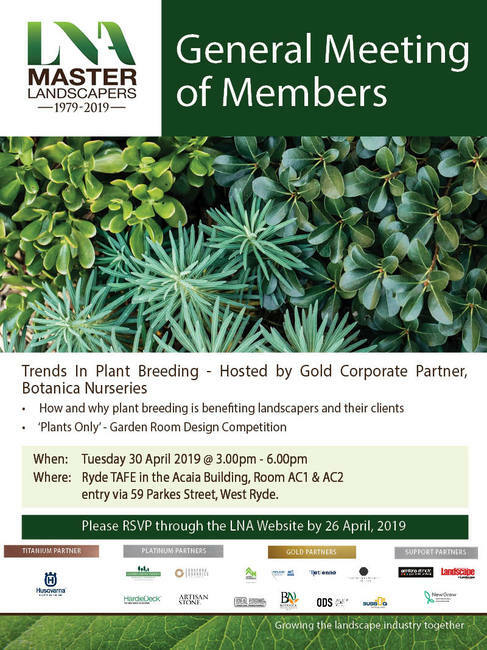 The LNA Corporate Partners Program has been designed to provide a general outline and structure and can be customised to suit and meet the needs of individual partners to provide measurable value and return on investment which help to grow and strengthen the landscaping industry. If you wish to know more about the LNA Corporate Partners Program please call us on (02) 9630 4844 or click here to submit your inquiry.